It's been a while since I've shown eye candy made for my web site or for my shows, but in between all the craziness that is life lately, I've been feverishly making things for one of my largest shows of the year, the Craftsmen's Classic at the Dulles Expo Center in Chantilly, VA, March 25-27. All of these are for sale now, so if you don't find them right away on the LoriAnderson.net, just email me and I'll set you right up. Lori, these are all so beautiful, but i especially love the hand to heart! The first one with the beachy beads comes in a close second! Love the eye candy! Thanks for sharing. They are all nice, but I like the fish the best. Delightful! Sure you'll sell every single one. love love love the "Spring Feminity" earrings!!! Love those scroll earrings. Very fun! 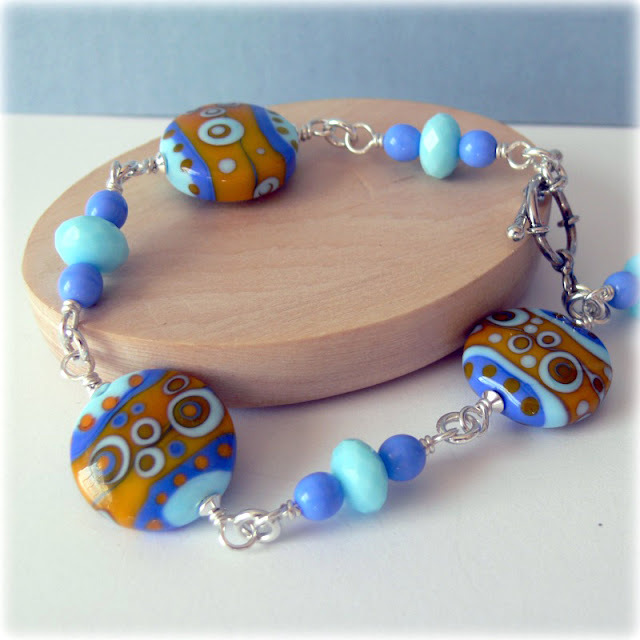 I love seeing what you have made with my beads - thanks for posting these great pieces. I hope you do really well at the show. They are all lovely, amazing you have found the time to put them all together! Who doesn't love eye candy? I especially like the Beach Bound bracelet. I've never seen a seascape bead like that. What an eye-catcher. Hands to Heart is beautiful. Are those Sarah Moran beads??? thank you and have tons of fun at your show. 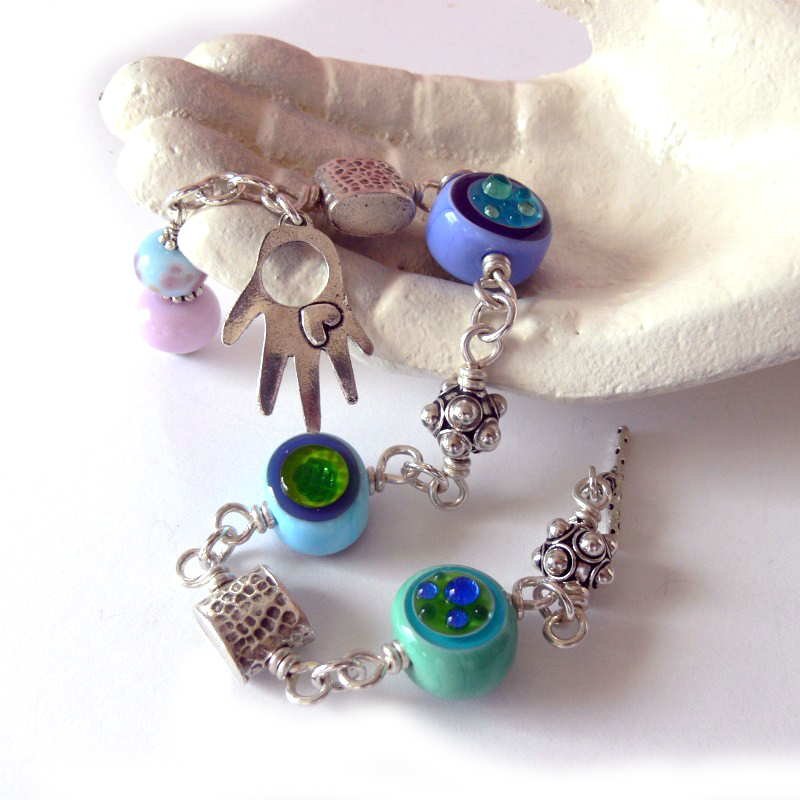 I really like the Funky bracelet- the colors are great- put it on and you will be ready for summer. Mind in the Clouds is delightful. Have to say, Beach Bound and Black and White are my faves, but I'm just lovin' all the eye candy! Yummy! Such great pieces Lori and really nice pictures! The first bracelet with the little fishie and the shell looking beads is so pretty. And I love that last pair of earrings. They are gorgeous. Love the eye candy. Incredible collection - they're all so beautiful. 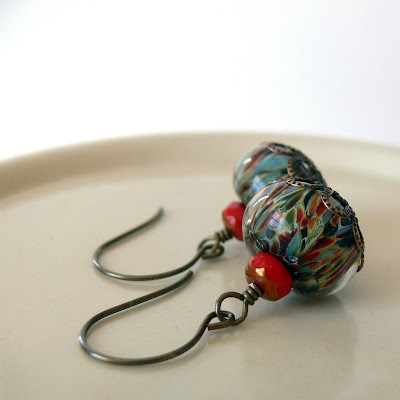 You really know where to find the most amazing unique beads and make them pop! All gorgeous but that last pair of earrings is particularly yummy! They are all beauties, full of color and life! Hand to heart is outrageously gorgeous!! They're all so pretty Lori. I especially like the beach bound bracelet. Hope you have a great show! 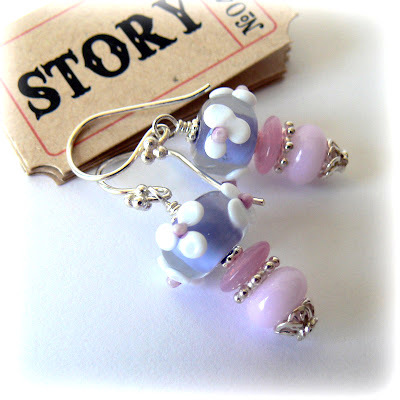 Spring Feminity is my earring...the colors just call to me! Beach Bound is so unique...thanks for sharing! Beautiful jewelleries.. Have a nice day! Very lovely and I can now picture you in your custom built workshop, thanks to the post on your workspaces! Best of luck at the booth! These are truly beautiful and your photography is sublime. Wow! They are all totally cool, but for me "Hands to Heart" is a real show-stopper. I like so much all those bracelets! Some eye candy yes, lovely lovely beads! Wow!! Love the beach beads. Where are they from. Nice wire work on those earrings. Very inspirational. The beach beads are by Jane Perala, and the Hands and Heart beads are by Sarah Moran (Z-Beads). Don't you love Sarah's beads?! I don't think I'll ever part with mine. 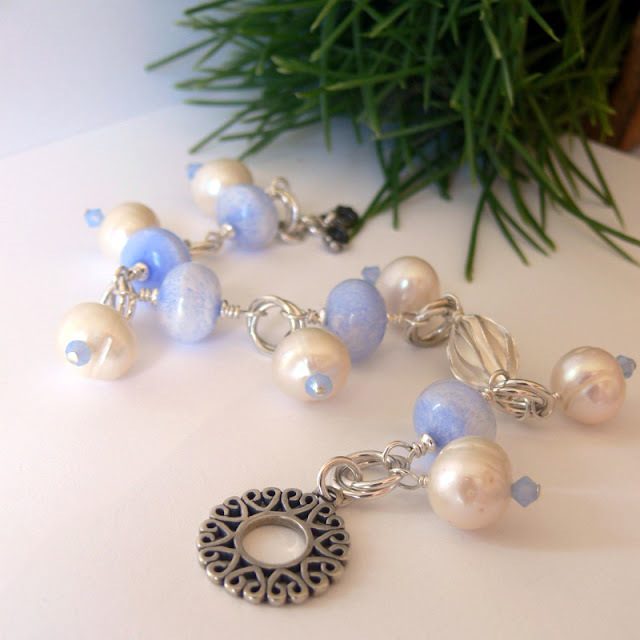 Beautiful bracelets and earrings! 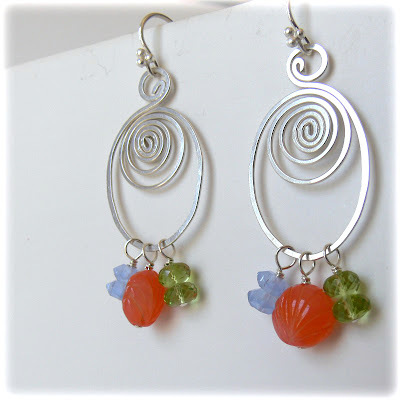 My favorite are the swirly silver earrings.....I love swirls! Thanks for sharing Lori. I'm so crazy about that beach bracelet, I could just cry! I love the beach. There's something about the ocean that fills my soul (and here I sit smack in the middle of the country!). I love that one especially but they are all beautiful, Lori! 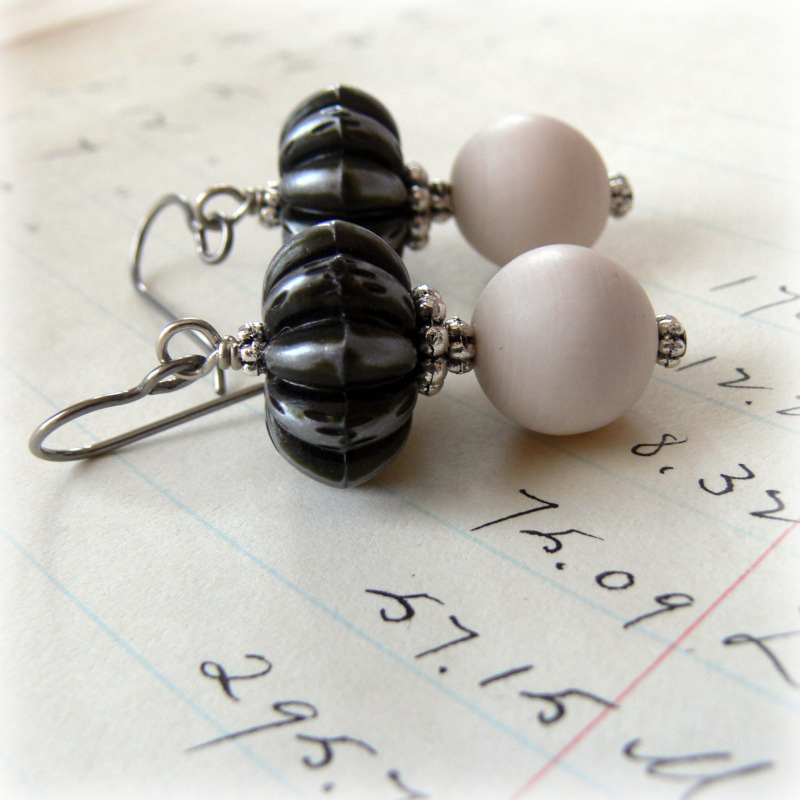 What gorgeous items, all of them - the black and white earrings are my particular favourite. Just beautiful! Great photos, love the jewellery and the setting. 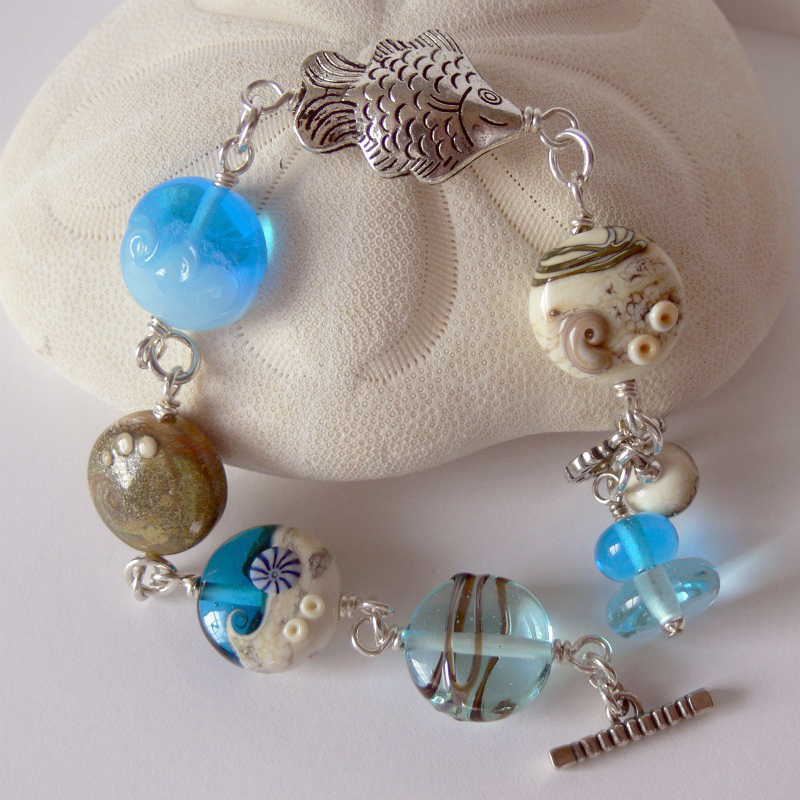 The first bracelet with nautical theme is my favourite, especially the fish. love the beach bound bracelet! What a beautiful collection! I like all of them. I have no idea how I missed this post! What gorgeous and happy eye candy! Love the "Hands to Heart" bracelet! Beautiful!